It comes as little surprise that Captain Marvel took the box office crown for the second straight weekend. The first female-led MCU film easily crossed the $200 and $250 million mark and will hit $300 and probably $325 million by this time next week. Both Wonder Park and Five Feet Apart managed to exceed expectations, as did the limited release of Manches Frida 2, which nearly cracked the top five despite playing in under 500 theaters. The same couldn't be said of Captive State, which was a major disappointment. And, for the second straight weekend, 2019 outpaced the performance of the same weekend in 2018. It still has a ways to go to catch up, but at least things are moving in the right direction. 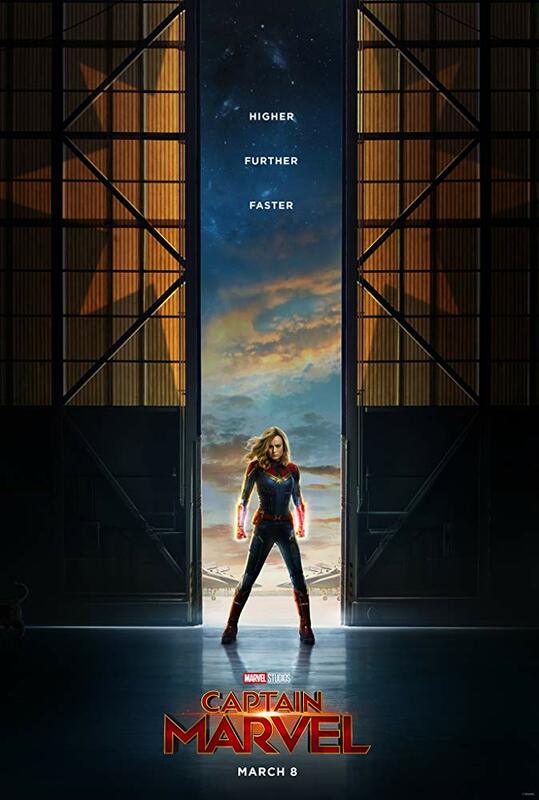 After a superheroic opening weekend, Captain Marvel doesn't show any signs of slowing down. The female-driven film brought in $69.3 million, rising to $266.2 million in the process. The film dipped 54.8%, which is better than the MCU average of 56% - and its total has topped the likes of Thor: The Dark World ($202 million), Doctor Strange ($232 million) and Captain America: Winter Soldier ($259 million). It is on pace to deliver a $400 million performance, with a chance to hit $450 million depending on how the upcoming films (Us, Dumbo and Shazam!) impact its audience. On the global front, a $119.7 million weekend brought its international total to $494 million for a global total of $794 million. That is puts it within striking distance of Guardians of the Galaxy 2 ($773.3 million) to become the 10th best global total in the MCU. This one is going to break the $1 billion mark no sweat, so the only real question is just how high it's going to go. With Avengers: Endgame dropping in just over a month, Disney is going to have two $1 billion plus earners in short order. Oh, and for those keeping track, Captain Marvel is the third-highest grossing film directed by a woman, behind just Wonder Woman ($821 million), which it will soon pass and Frozen ($1.276 billion), which it could challenge. 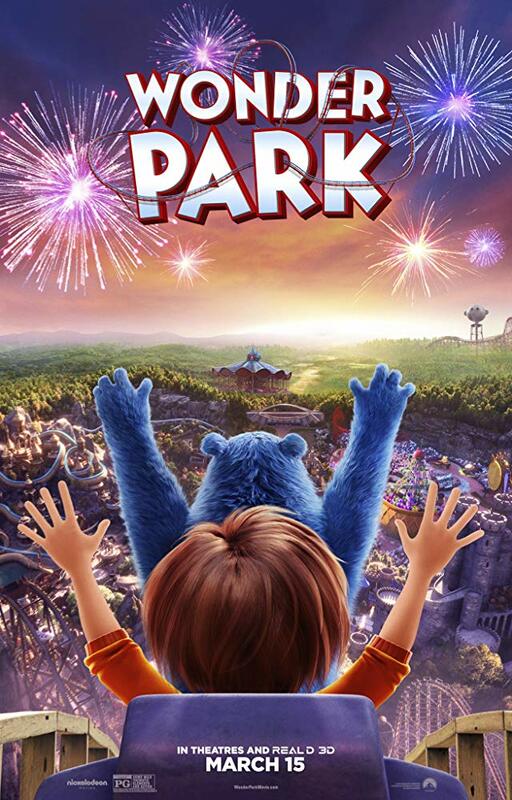 Winning the battle but losing the war, Wonder Park came out on top of the new releases with $16 million - and beating expectations which pegged it at $10-$14 million, but that doesn't exactly equal a win. 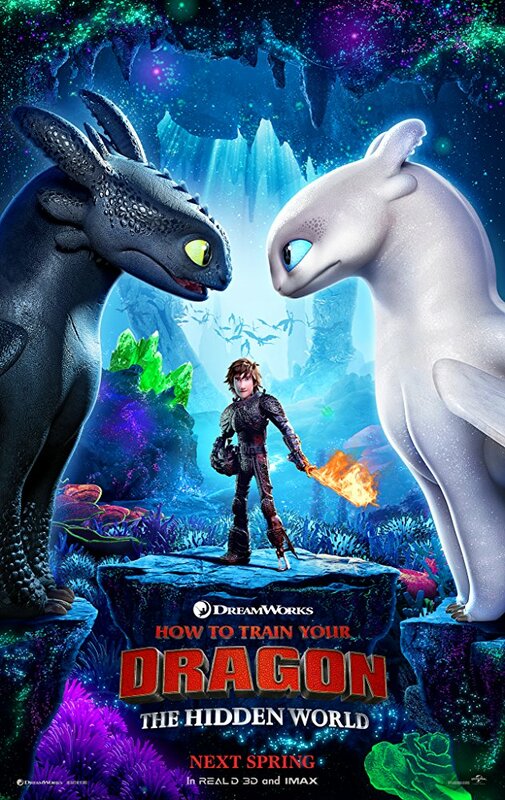 You see, this animated film carries a $100 million price tag, and $16 million just isn't going to cut it. The film did earn a "B+" Cinemascore from a mostly female (59% audience) with families making up 62%, but that goodwill isn't likely going to have much long-term impact on the bottom line. Paramount might have wanted to prove themselves after Fox nabbed Dreamworks from them, but Wonder Park has no credited director thanks to Dylan Brown being accused of sexual misconduct... but then they turn around and hire John Lasseter, who is battling his own allegations, leading to Emma Thompson dropping out of their next animated feature, Luck. All told, it's kind of a cluster, and I don't think they're doing themselves any favors here. International audiences only contributed $4.3 million and it's likely this is going to be a loss, with a total likely under $60 million domestic and maybe topping $150 million worldwide. This is a bust no matter how you slice things. 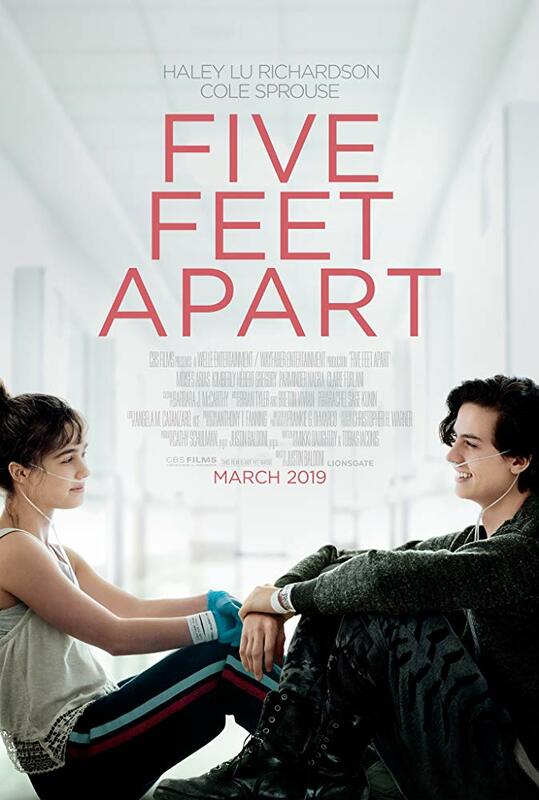 Though it may not have topped Wonder Park over the weekend, Five Feet Apart is still the winner. That is because its $13.1 million performance (which also topped expectations around the $10 million range) looks a lot better next to its $7 million budget. It also opened higher than fellow films Everything, Everything ($11.7 million), Love, Simon ($11.8 million), The Edge of Seventeen ($4.8 million). The audience was also impressed, rewarding the film an "A" Cinemascore (an "A+" from those 18 and under). The audience was primarily female (82%) with 65% coming in under the age of 25. This is the kind of audience that will spread the work and Five Feet Apart should have a nice, solid run with a total around the $35-$40 million range. Five times your budget looks pretty darn good no matter what way you slice it. The animated sequel continued to soldier on, dipping just 36.4% and adding $9.34 million to its total, which rose to $135.6 million, crossing that $125 million mark in the process. It also topped its $129 million budget and looks to finish its domestic run at over the $150 million mark. That's fine, but its international total of $330.9 million really sweetens the pot with a global total of $466.5 million. Hidden World should have no problem hitting the $500 million mark worldwide, a great result for the third film in a trilogy as far as I'm concerned. Wonder Park didn't do any damage, so it will face its biggest challenge with Dumbo and Shazam!, which will likely finally put an end to its run. Madea is getting sent off in fine fashion, as the $8.08 million weekend (representing a 35.1% drop) gives Family Funeral a new $59 million total. That means Family Funeral is increasingly looking like it will wind up as the second-best Madea film behind just the $90 million of Madea Goes to Jail, with a total in the $75-$80 million range. It will also at least triple its $20 million budget in the process (maybe even quadruple depending on how long it holds on). While its overseas total is a mere $730,000, it only has to reach $1.3 million to beat Nobody's Fool to become Perry's biggest international film. 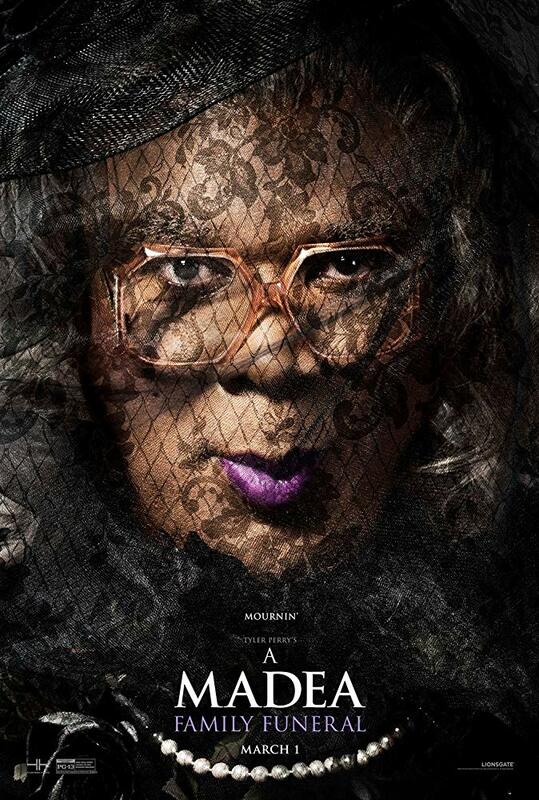 All in all, if Perry really is serious about retiring Madea as a character, it looks like it will be going out with a bang. Outside the top five: Captive State wasn't very captivating, with a lackluster $3.1 million opening down in 7th place. The film also could only muster a "C-" Cinemascore, meaning it won't last very long in a crowded market. With a $25 million budget, this is going to take a sizable loss and it's interesting this wasn't relegated to streaming (as this seems exactly like the kind of film that thrives on Netflix). On the other hand, No Manches Frida 2 looked much better, nearly cracking the top five with $3.89 million in 6th place. That is better than the opening of the first film ($3.6 million). Even more impressive is that it did so why playing in just 472 theaters, representing a pretty excellent $8,250 per-theater average (second to just Captain Marvel among the top 12). Audiences were happy as well, giving the film an "A" Cinemascore. Should it follow in down the same path as the first film, a total around $13 million is likely - a fantastic result for a film that might not make it out of limited release. The only milestone news is The LEGO Movie 2 crossing $100 million with a $2.13 million weekend (8th place) and a new $101.3 million total. Not exactly a stellar performance from the sequel. Next week, the only new wide release will be Jordan Peele's Us - which looks to solidify the director's horror cred after the performance of Get Out.